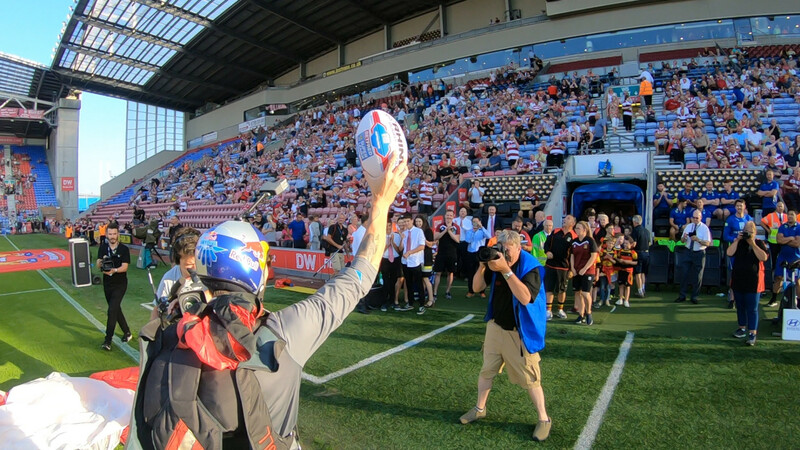 For the first time in team history we got invited to a Rugby Match in Great Britain delivering the match ball into the Wigan Athletics Stadium. 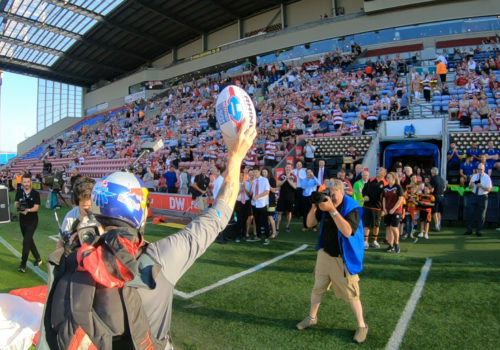 The Wigan Warriors were facing the Warrington Wolves for derby matchup and what a fight it’s been… Even though we got driven to the wrong airport for our jump we managed to deliver the match ball on time just before kick off jumping into a crowd of 10,000 spectators. 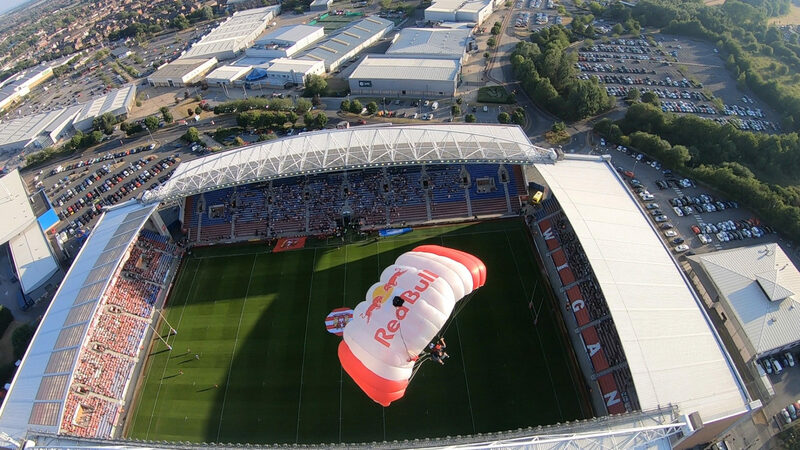 Thanks to Red Bull UK for having us!